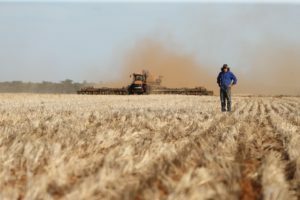 Chris owns an 8000-hectare farm near Griffith in partnership with his mother Jan Condon. This season he drilled 4,000 hectares with the new Flexi-Coil 5500 air drill in combination with a Flexi-Coil 60 series air cart. The new 80-ft Flexi-Coil 5500 is a step up from Chris’s 60-ft ST820 machine, and gives him the ability to cover a third more ground in the same time frame. The 5500 is the largest air drill Flexi-Coil makes; previously seeding units were only available in 60-ft and 70-ft working widths. “The 80-ft air drill was really impressive and productive,” Chris says. “We were averaging about 22-23 hectares per hour, compared to about 18 hectares with our old machine, so we noticed a big difference. We need to be in 40-ft or 12m increments, so it works in well. The 5500 has a unique configuration consisting of two front ranks, which follow the contours of the land at a depth set by the nearby castor assemblies, plus two rear ranks, which follow the ground on which the press wheels run. This allows it to achieve exact and repeatable sowing depth. “I was impressed with the way it contours across the ground. It did a good job and was easy to level to start with,” Chris says. Single-point depth setting provides simple control of depth across the entire machine, and Flexi-Coil’s patented variable packing pressure system allows weight to be transferred between the front and rear sections. This adjusts packing pressure by as much as 30 percent as field conditions change. The Flexi-Coil 5500 air drill is easy to transport and is the only 80-ft air drill on the market to fold down to the size of an articulated tractor with front and rear dual wheels. Its transport width is 5.3m wide and 4.0m high, which makes it ideal for moving on Australian roads. “It has a narrow folded width for travel when you’re going from farm to farm and it’s lower than the height of your tractor,” Chris says. “Having the weight spread evenly across 12 wheels on the ground for travelling is also better than on wing up style, where all weight is carried on the center section.” Chris hopes to buy the 5500 air drill for this season. Operating Flexi-Coil’s 80-ft 5500 air drill together with its 60 series air cart is a powerful combination. The 60 series air carts are ideal for broadacre farmers growing cereals, legumes and oilseeds. The range includes seven air carts, with capacities up to 33,000 litres. Flexi-Coil is now taking forward orders for the 2017 season. Customers can see the latest Flexi-Coil machines on display in South Australia at Eyre Peninsula Field Days, 9 to 11 August 2016; in Western Australia at Mingenew Midwest Expo, 10 to 11 August 2016 and at Dowerin Machinery Field Days, 24 to 25 August 2016; in New South Wales at Henty Machinery Field Days, 20 to 22 September 2016 and in Victoria at Mallee Machinery Field Days, 3 to 4 August 2016.  Flexi-Coil has 50 dealers Australia-wide. Customers can speak to their local dealer about demonstration days or visit flexicoil.com.au for more information.